The two organizations, with input from the Truss Plate Institute and the National Framers Council, are seeking to add new language to the 2021 IBC that will address an issue that has been a concern as documented by practicing structural engineers across the country. Too often, companies installing trusses are inaccurately or incompletely interpreting the best practice for installing the required lateral restraint and diagonal bracing. 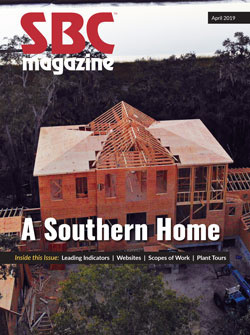 “It’s a life safety issue,” says Larry Wainright, SBCA’s director of code development. “If trusses aren’t braced properly, there is the potential for truss member buckling, or worse, structural collapse. The code change proposal seeks to put details into the IBC, which are compatible with BCSI, where the goal is to prominently display examples of lateral restraint and diagonal bracing that complies with the code requirements. The proposal adds language and figures to section 2303.4.1.2 based on BCSI-B3, with definitions and references to, “Permanent Individual Truss Member Restraint (PITMR),” “Permanent Individual Truss Member Diagonal Bracing (PITMDB),” and “Individual Truss Member.” The goal of these definitions is to minimize confusion within the design community and on the jobsite as current terminology used has a wide array of interpretation. The proposal will provide additional information and be a valuable tool to assist building officials with inspecting truss installations. The proposal will not increase or decrease the cost of construction since permanent individual truss member restraint and diagonal bracing of wood truss members is already required. 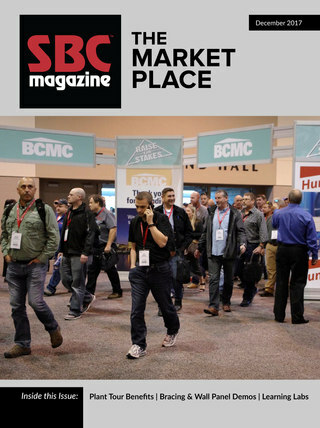 For additional information on BCSI, please visit sbcindustry.com/bcsi.